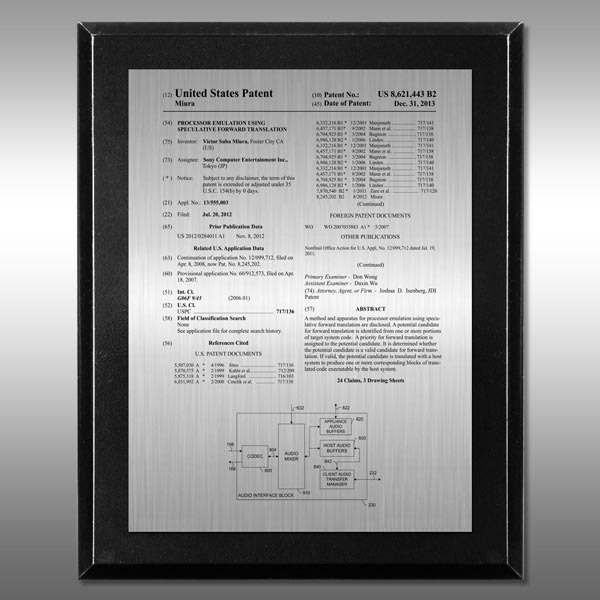 Our value plaque series offers the best value for recognizing individual inventors patent innovations. Plaque is imprinted on a Silver or Gold Full Color Plate and mounted on an affordable wood board. Available in three sizes: 8" x 10", 9" x 12", and 10 1/2" x 13". 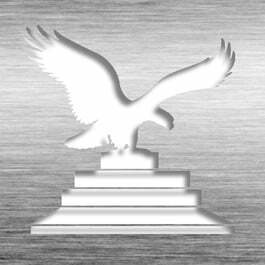 This Patent Plaque - Value Black Gloss VB-EZ12 is part of our Value Series of products, check out other products & options available in the Value Series of our selection. This Patent Plaque - Value Black Gloss VB-EZ12 can be modified to your requirements and is available for your corporate award programs.